While these books are largely characterized by God’s judgment on a sinful, rebellious people, they are by no means without hope of redemption. Though Israel will encounter God’s judgment time and again through history, God promises to pour out His Spirit on all nations. The coming of the Messiah is strongly foreshadowed, offering readers hope for redemption in God. All He asks is that we return to Him with our whole hearts. It can be difficult to understand how a loving God can be so judgmental of His own creation, His people. It is crucial that we continue to look beyond this judgment to see God’s ultimate will: for His people to come back to Him wholeheartedly. This message is just as relevant and important today as it was thousands of years ago. David W. Baker not only explains the original meanings of these prophetic books in this this NIV Application Commentary volume, but connects them to our everyday lives. 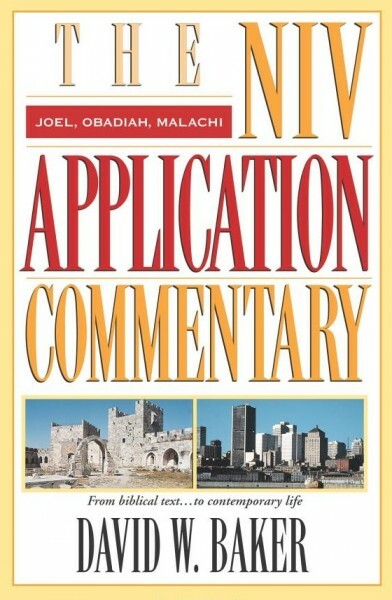 This commentary volume is part of the "NIV Application Commentary Series." You can purchase the entire Old Testament Set here or a set of both Old and New Testament volumes on this page.